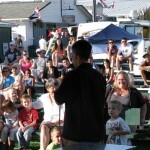 I just returned from performing for the Clallam County Fair at Port Angeles. It’s my fourth time at the Fair over the past decade. 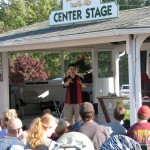 This year, as he has for several years, local dentist Dr. Davies of www.sequimsmiles.com sponsored the entertainment on the Sunny Farms Stage. 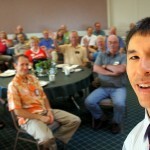 This is a wonderful service that he provides for the community. Without it, there wouldn’t be any professional variety entertainment at the fair. Thank you, Dr. Davies! 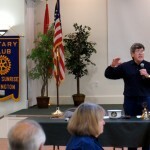 While in town, I also performed for the Sequim Sunrise Rotary at the Sunland Country Club. Special thanks to stage managers/sound techs Jerry and Bob for making sure everything ran smoothly. 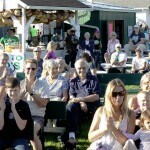 Next up: the Klickitat County Fair (Goldendale) August 24 – 26 and the Chelan County Fair (Cashmere) on September 7 and 8. 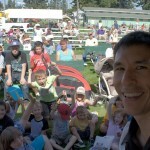 This entry was posted in Uncategorized and tagged Clallam County Fair, fair magician, Port Angeles, Rotary magician, Sequim, Sequim Rotary. Bookmark the permalink.